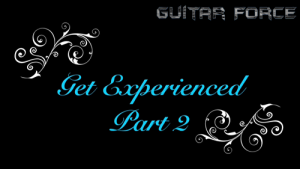 This is Part 2 of the guitar instructional video lesson on Jimi Hendrix’s style of playing. Part 2 consists of 6 Chapters – Techniques, Licks Between Chords, Vocalised Melodic Lines, Blues/R&B Rhythm Figures, Tricks&Sounds, Gear Review&Tremolo Set Up. All of the explanations are backed up by the examples from the actual music. The lesson also has Diagrams and Tabs related to the covered topics.